During the holidays, dinnertime can be a little stressful, especially for a mom of many. It seems like this time of year, there’s always something going on or somewhere we need to be. One night, it may be Scouts; the next night, CCD and choir practice. Still other evenings are filled with meetings for my husband or moms’ night out events for me. I try to plan my meals ahead of time, but amidst all the hustle and bustle, there are times I run out of ideas or simply forget to pull meals out of the freezer. I want to make our dinners special instead of stressed. I want to have time to sit and talk with my children at dinner, rather than rushing around the kitchen, trying to prepare food while wrangling toddlers and preschoolers. In our home, we save pizza nights for special occasions. 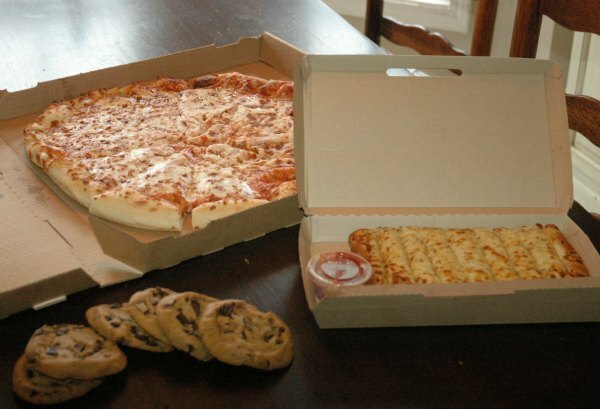 When I mention pizza, my kids know that they’re in for a treat — a new family game, a new dessert, a movie or sometimes all three! If you’re busy finishing up your Christmas shopping and feeling panicked about dinner, I’ve got a solution for you. While you’re out running errands, plan a pit stop at your local Sam’s Club. 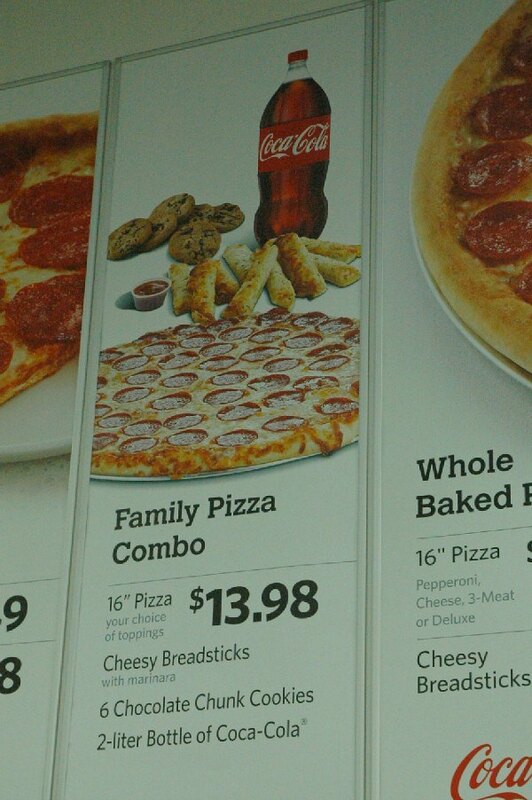 The Sam’s Club Coca-Cola Pizza Bundle has something to make every picky eater in your family happy. For $13.98, you’re ready for a family dinner at home, feeding your friends during a cookie exchange, or even surprising your neighbors with a dinner as a random act of kindness. 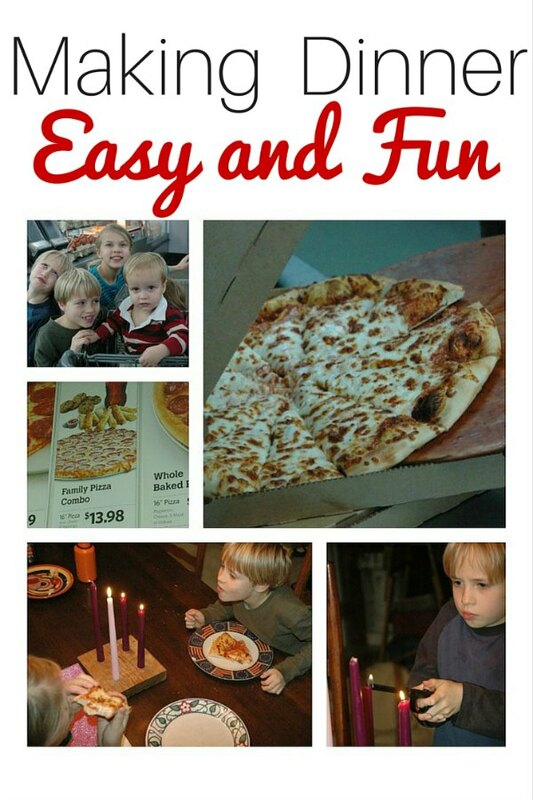 Busy moms, you deserve a night off from cooking! 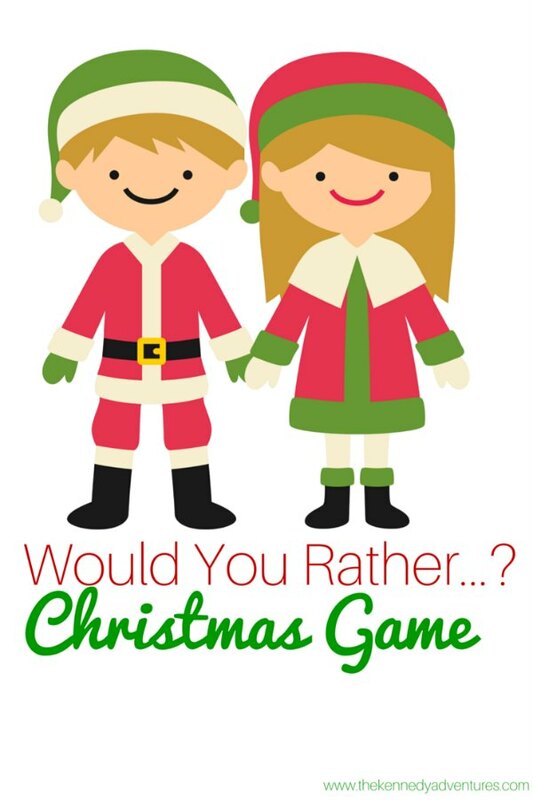 In the spirit of the Christmas season, we took one of our favorite family games, Would You Rather …? and gave it a Christmas twist. Take a look at how you can make this game work for you, too. 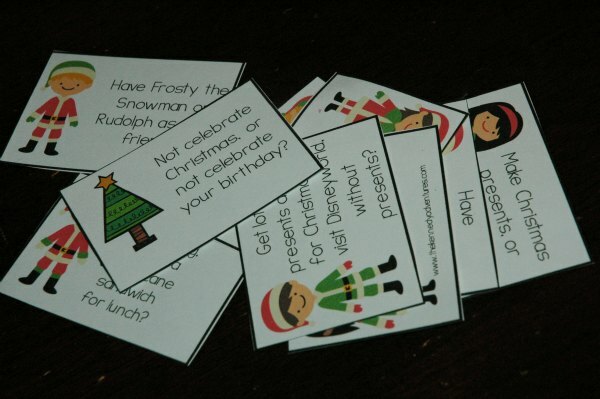 Check your printer and make sure you’ve got white cardstock and plenty of color ink. In a pinch, you could print the game in black and white, but that’s not as much fun. Print the game cards — aren’t they the sweetest? 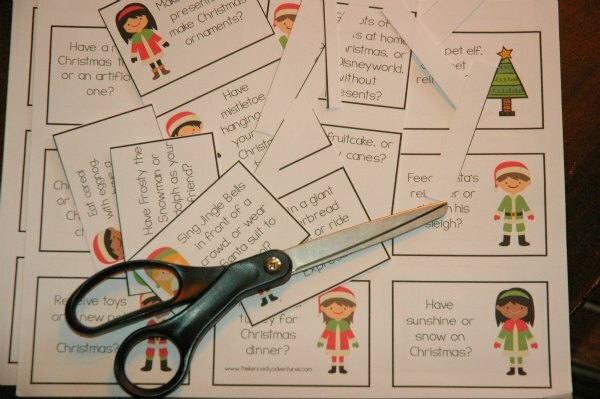 Grab your scissors and cut out the cards. I like to laminate them for added durability, but you can skip this step if you like. Decide how you want to play. In our house, I’m the Game Master, and I go around the table, asking a question to each child. It’s fun to hear everyone’s answers! 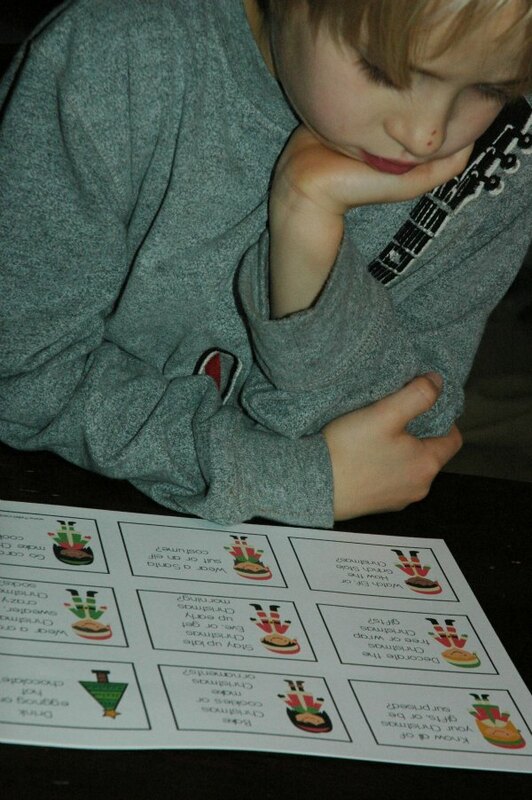 Lay the cards face down on the table and take turns drawing a card, reading the question aloud and answering. 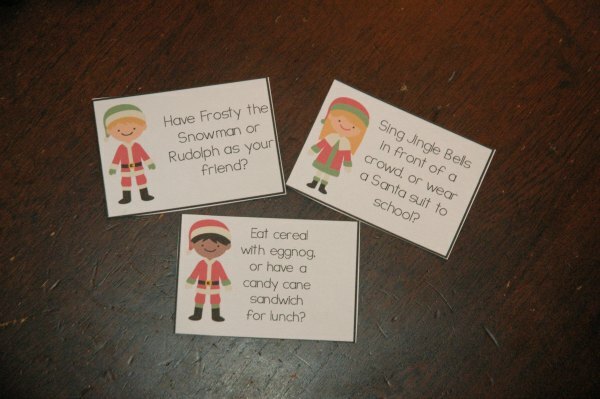 Take turns – one person draws a card, then selects someone at the table to answer. Keep taking turns until all the cards have been used. 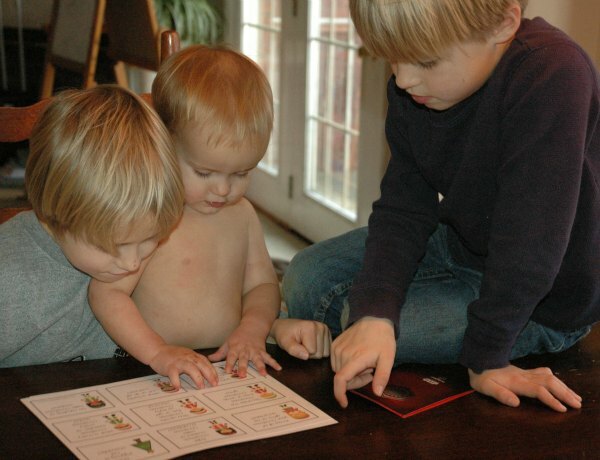 This game is super simple, and can be played by children as young as 5. My 3 year old can even answer some of the questions, if she’s not dissolving into giggles. 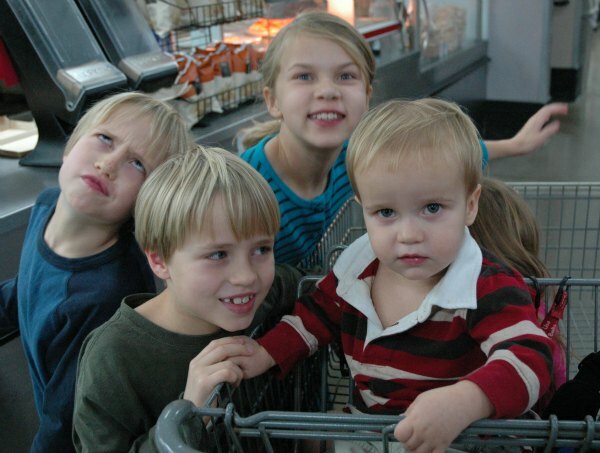 It’s a fun way to get the conversation going between siblings, with loads of laughs, too. How do you make family dinners during the holidays simple, but fun? I’d love to hear your best tips! Oh my goodness! Your lil’ ones are adorable!! I LOVE your Would You Rather…? Christmas Game! Going to add to our holiday fun!